Lucky's helping me fund raise to pay bills. 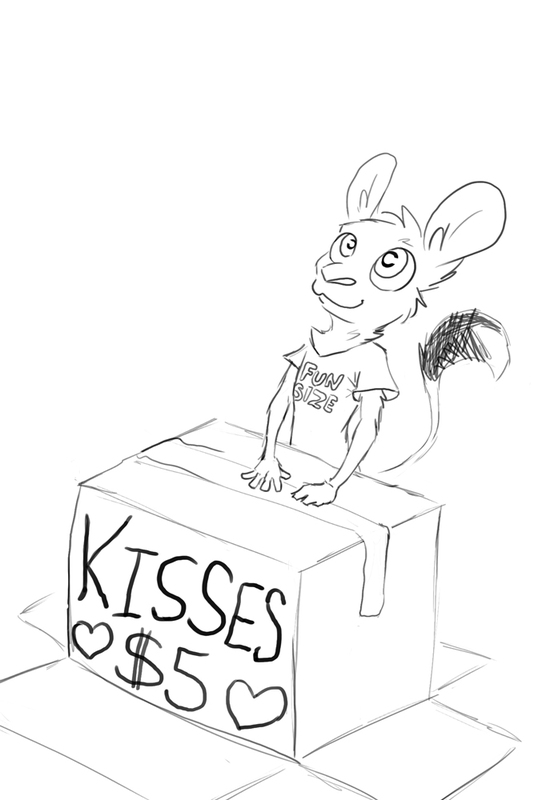 Super quick (half-hour) b/w sketches, $5, giving or receiving kisses to/from a certain jerboa. Hugs are fine too. I'll try to do one of these each morning. Definitely! There's uh... there's a line, but I'm doing at least one a day. You're in slot #4. Gimme a ref and a money and a where-what of the kiss.